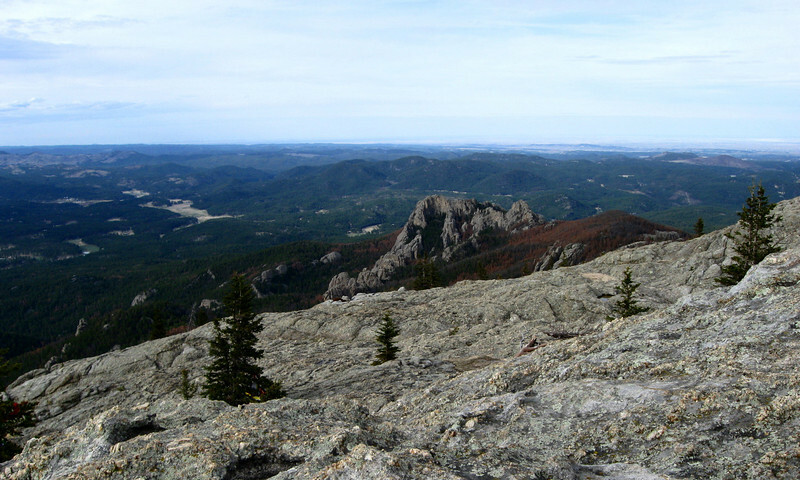 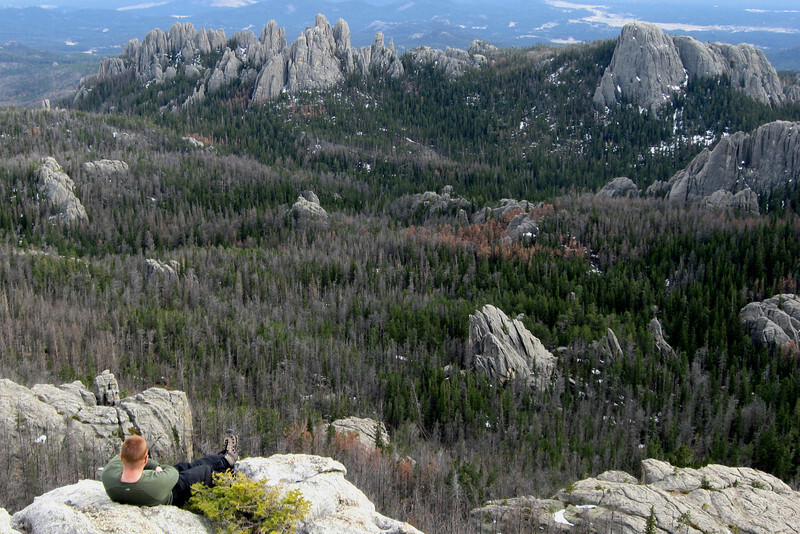 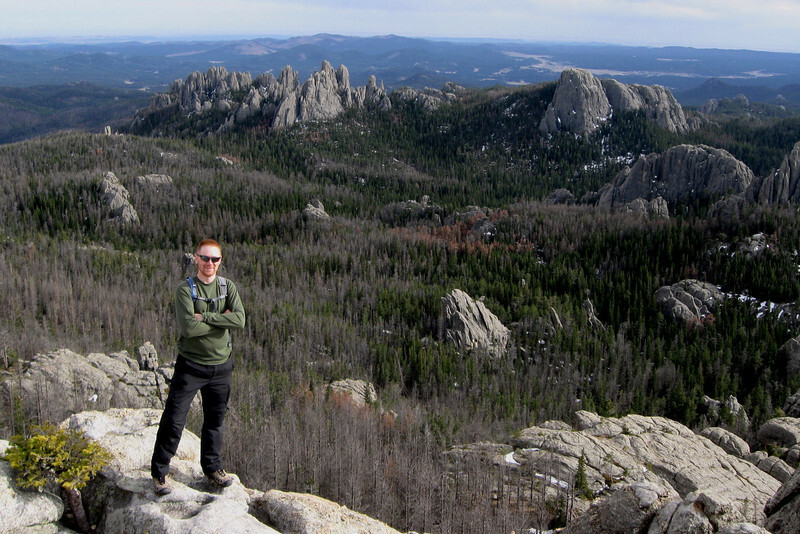 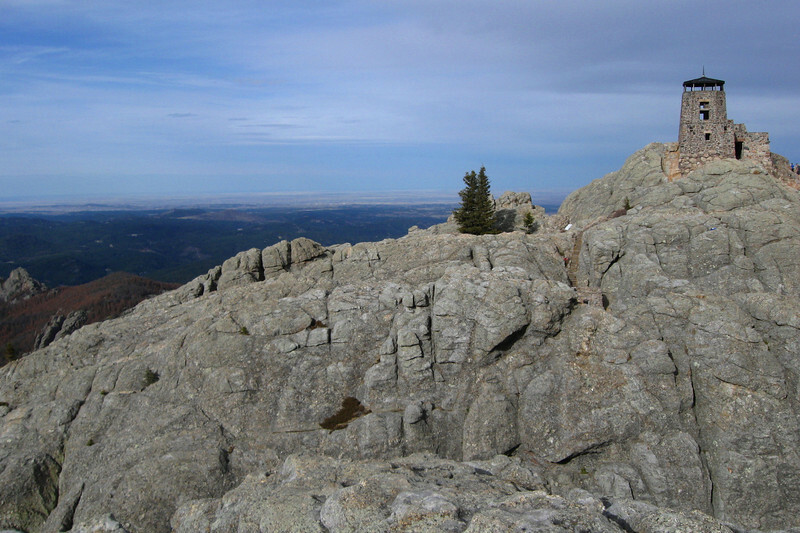 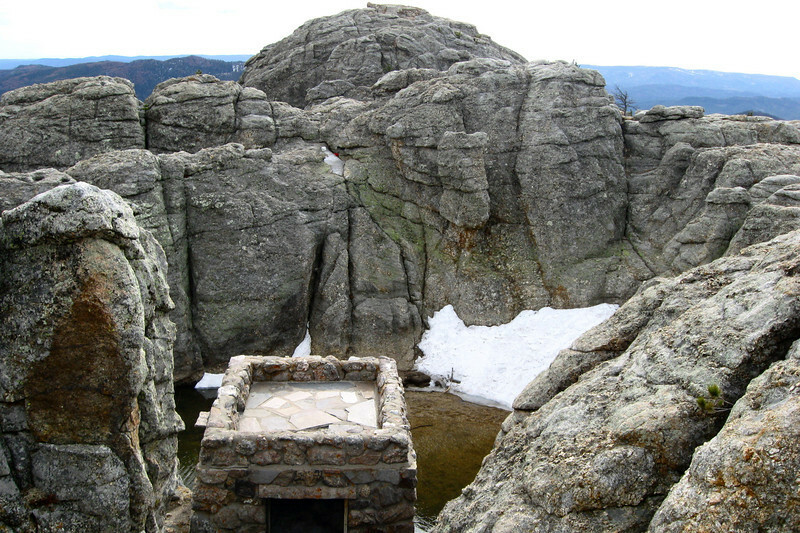 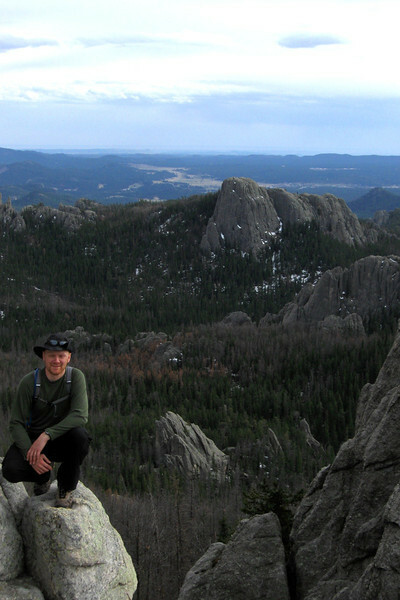 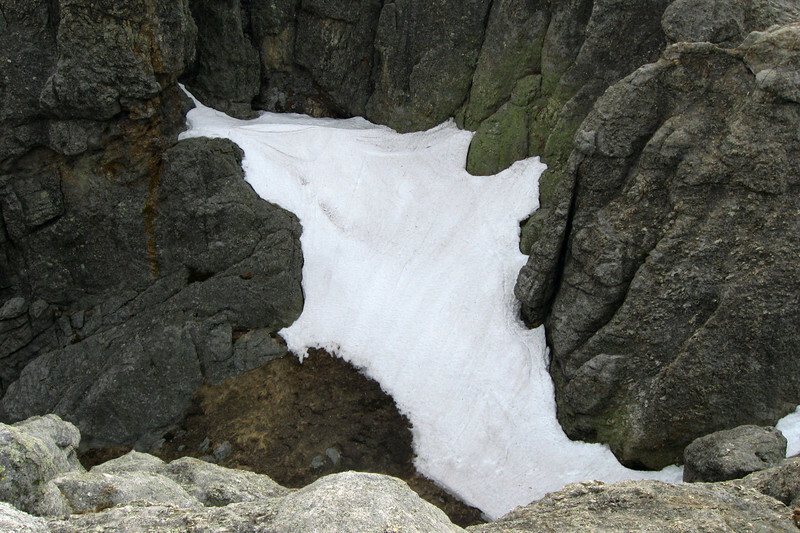 Black Elk Peak (formerly, Harney Peak), at 7,242', is South Dakota's highest point and the self-proclaimed (though quite incorrect) highest point between the Rockies and the Pyrenees Mountains of Spain. 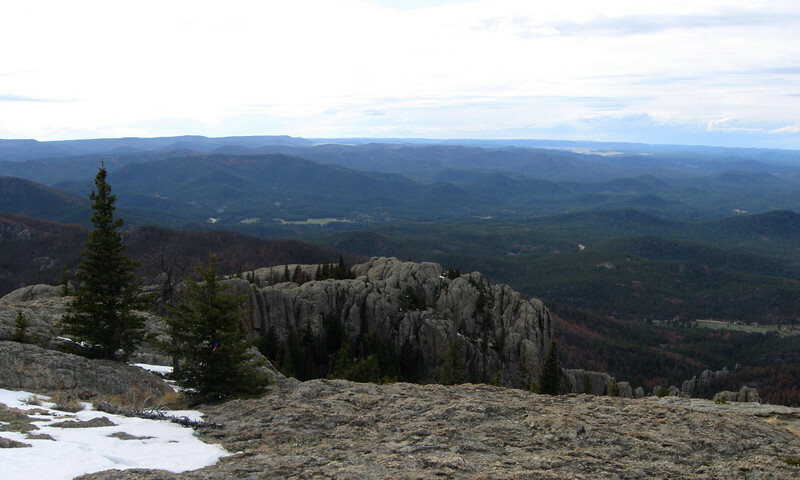 Sitting in the middle of the Black Hills the mountain, on clear days, offers views that include five states; South Dakota, Wyoming, Nebraska, and Montana. 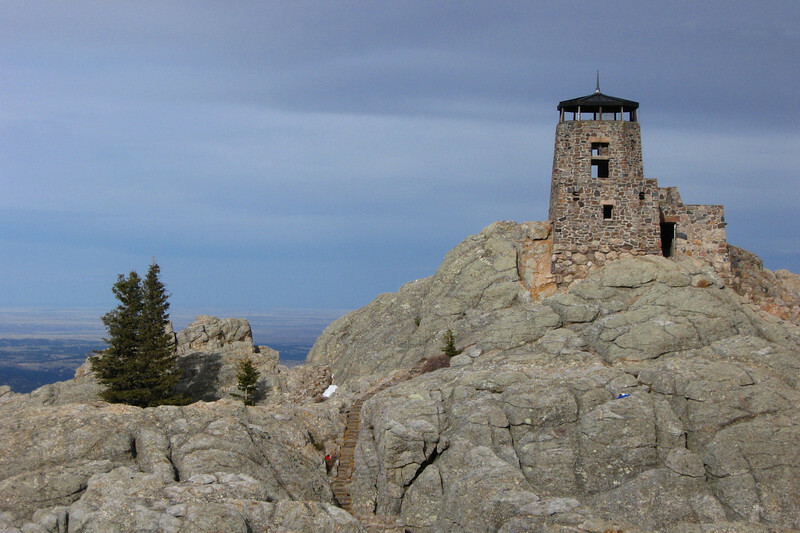 The most striking feature on the summit is the large stone fire lookout tower built there in 1939 by the Civilian Conservation Corps. 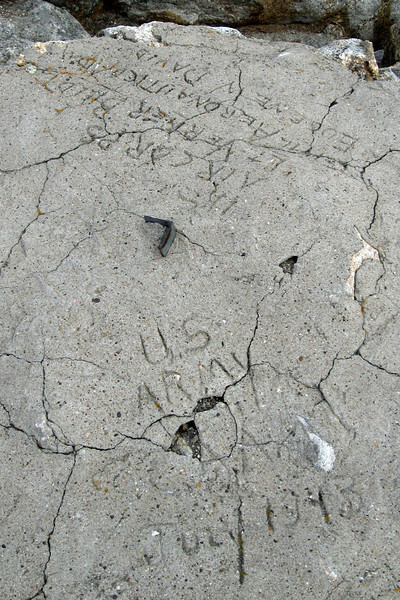 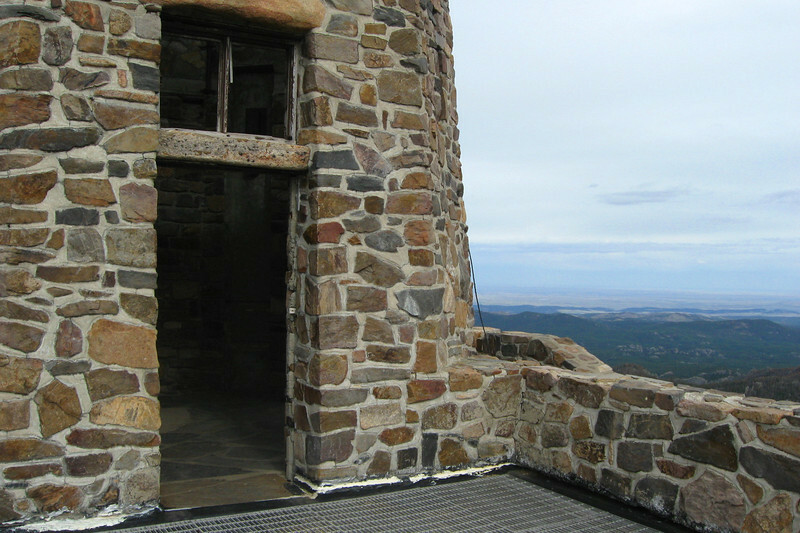 The tower no longer operates in an official capacity but it is open for hikers to explore. 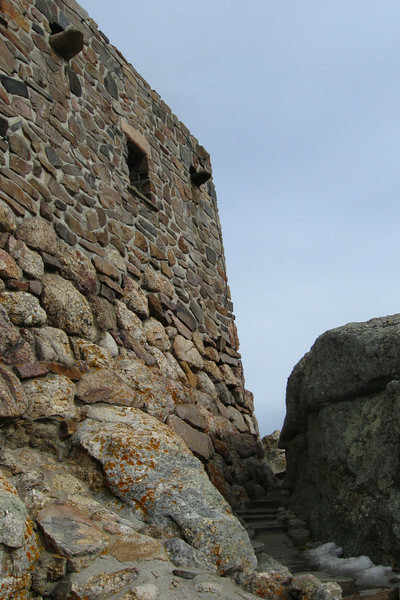 The mountain itself has a colorful history. 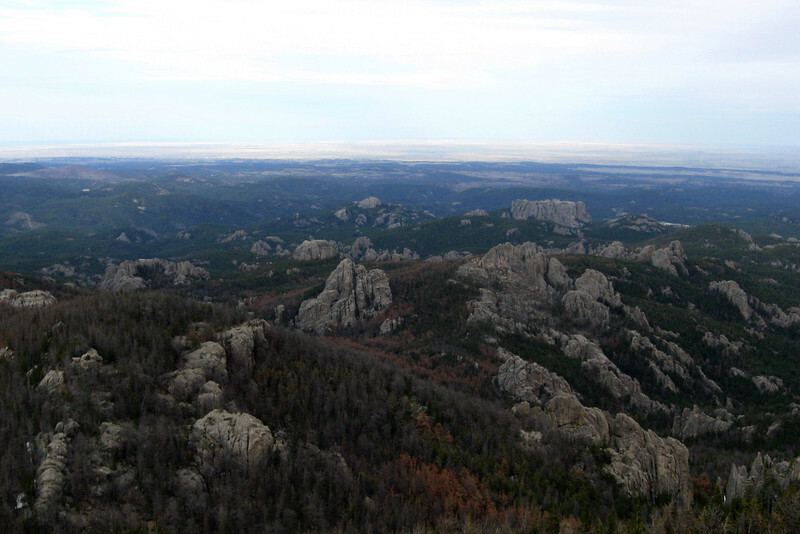 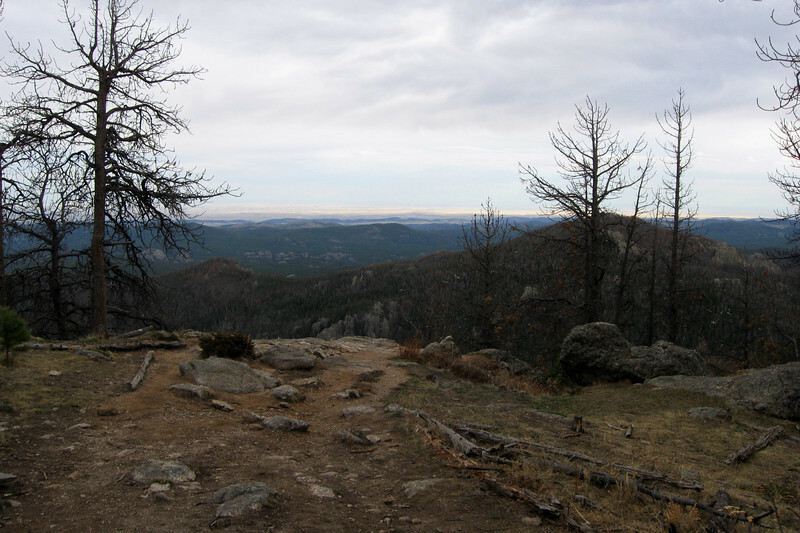 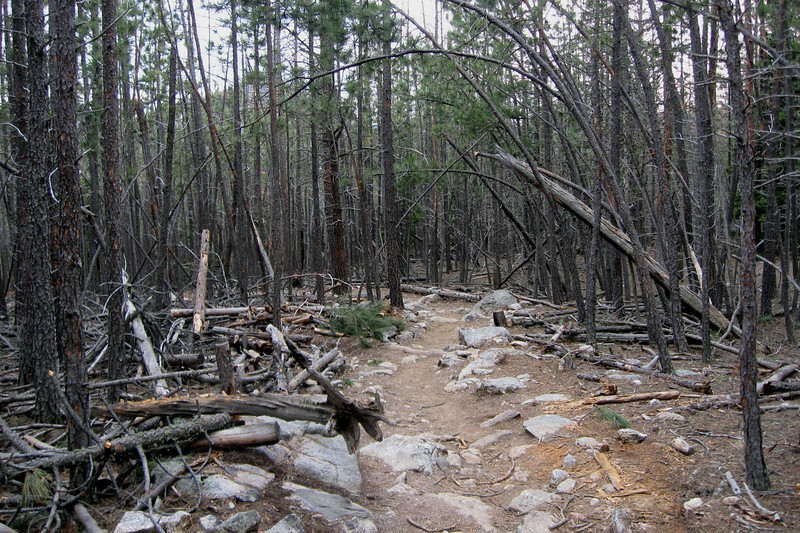 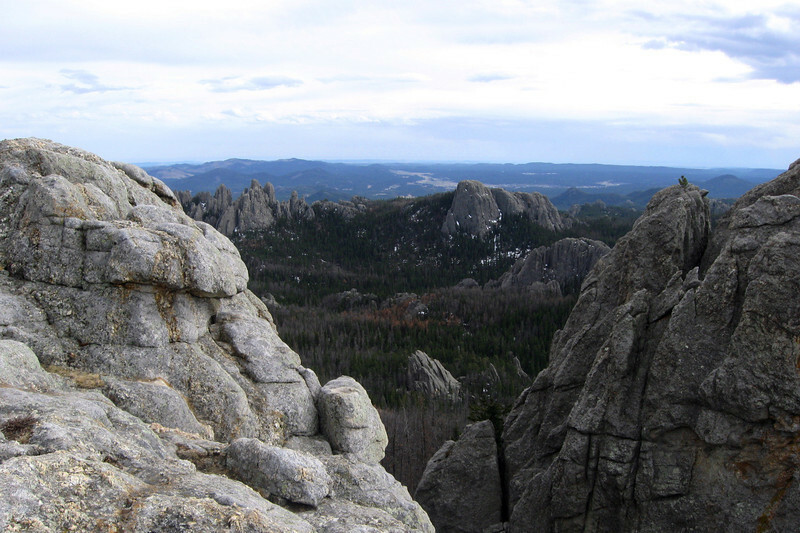 The Black Hills, or Paha Sapa as they were known to the Lakota Sioux, were regarded as sacred ground. 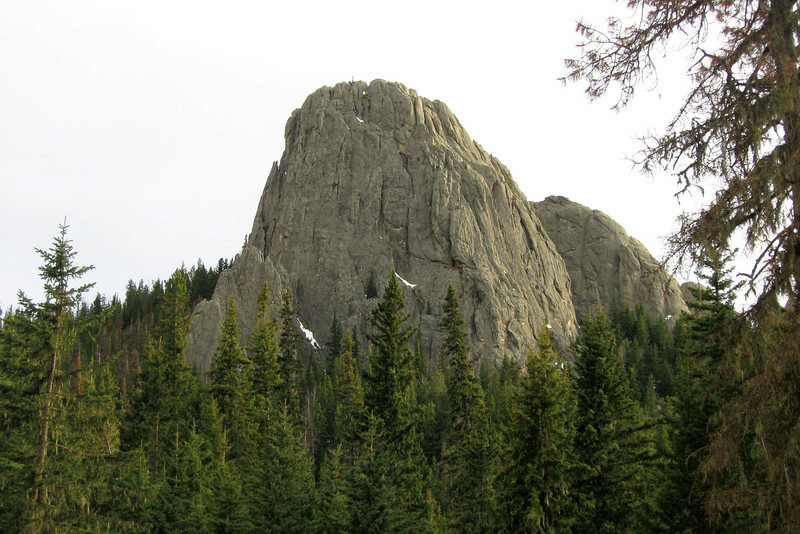 The Native Americans fought fiercely to protect these lands including the famous Battle of the Little Bighorn in 1876. 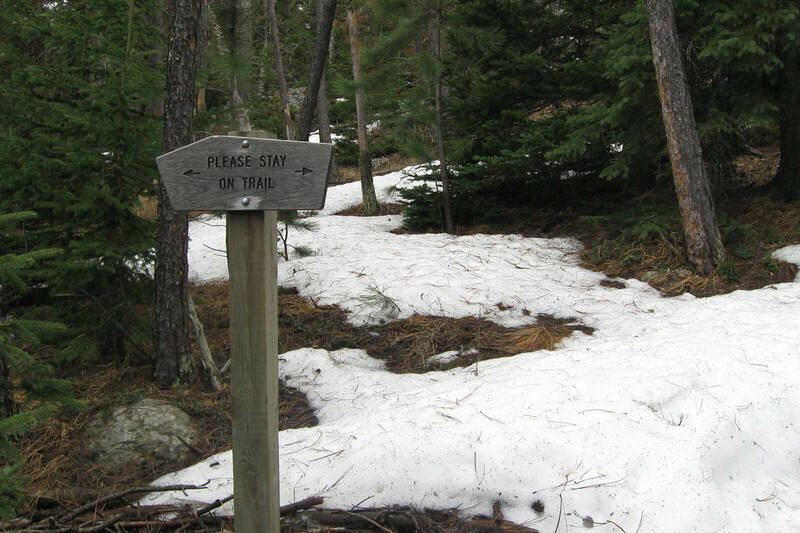 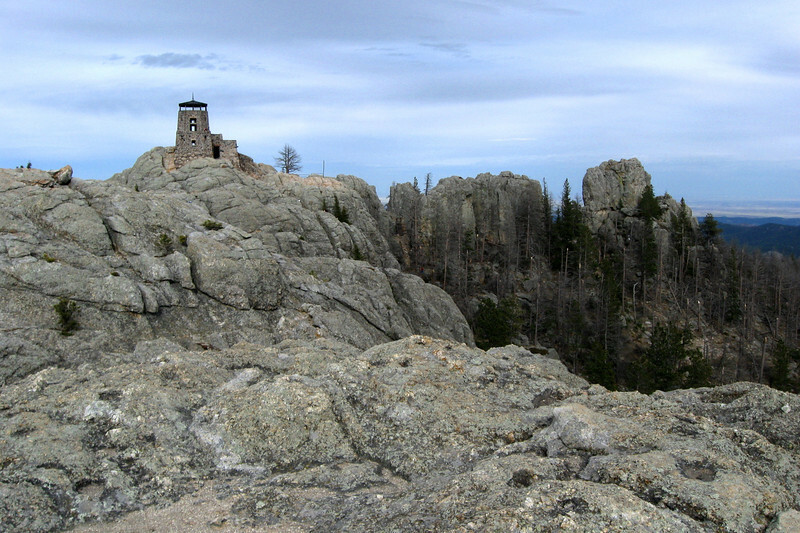 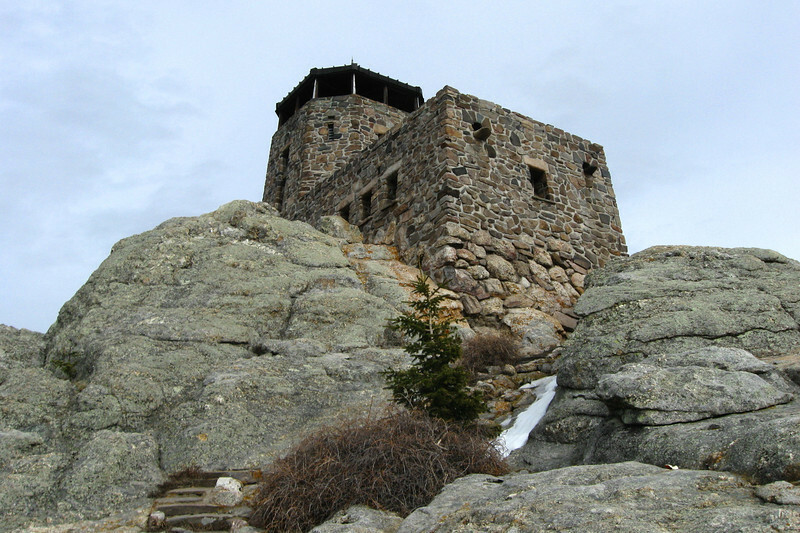 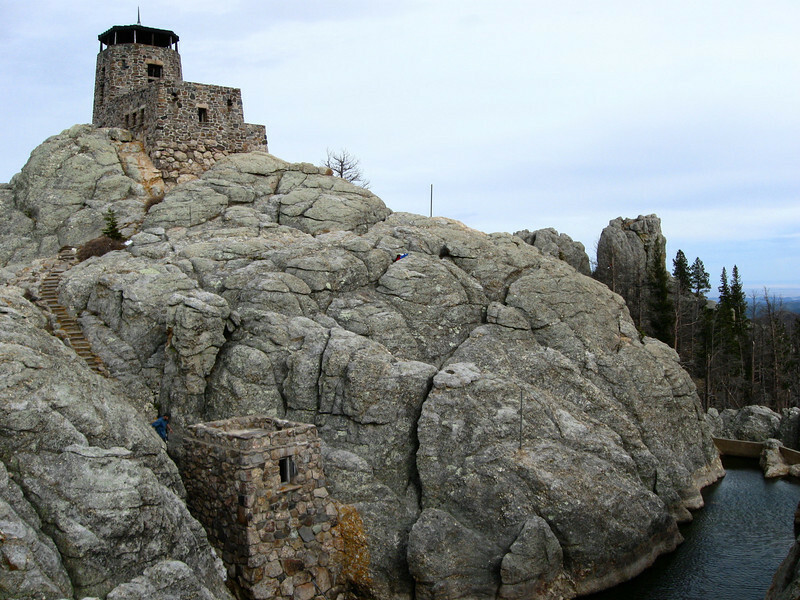 Harney Peak was known as Okawita Paha and, as the highest point, was considered the center of the world and is, to this day, a very sacred site to local Indian tribes. 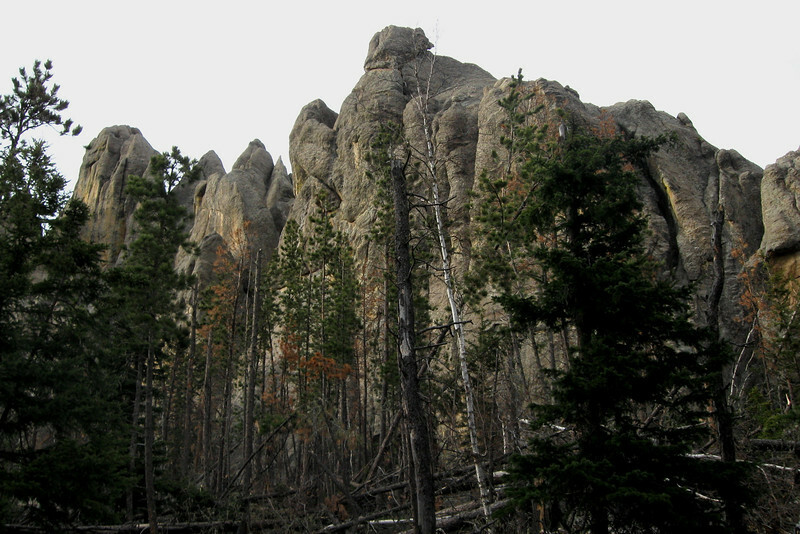 It is asked that visitors show utmost respect when visiting the mountain and not to remove the prayer flags that are a common sight on the peak. 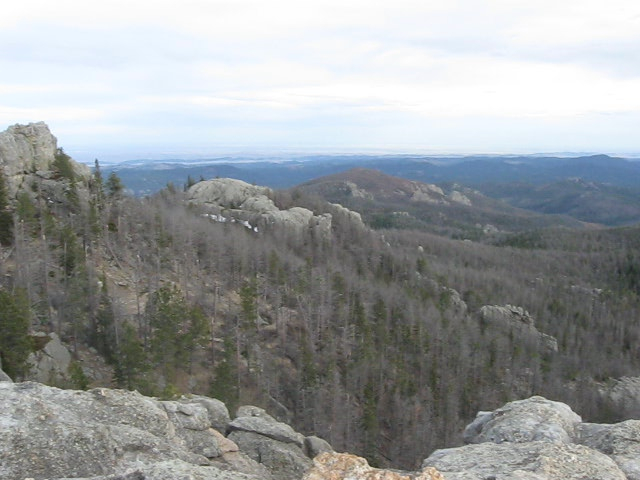 It was a bit sad knowing this to be my last big hike for the trip...memories of places like this, however, will certainly motivate me to someday return!